La Gloria Land Co represented the Buyer for this transaction. 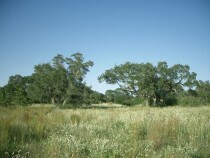 This ranch has several draws and creek drainages going through it, creating rolling topography with tall gravelly hills covered in huge live oaks and post oaks. 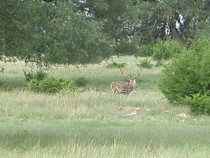 Great hunting ranch within 1.5 hours of Houston. 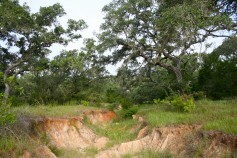 Located 1.5 hours from Houston, along paved FM 822, this ranch has incredible access. Loaded with huge live oak trees and native brush makes this a hunter’s dream. There is electricity on the property, a water well with electric submersible pump, good gravel roads, and a pond. La Gloria Land Co represented the Buyer for this transaction. 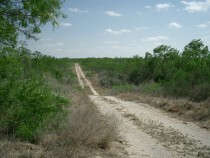 This is a fine South Texas Ranch, located on a paved road, not too far off of I-37. 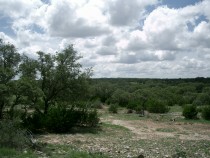 Boasting over a half mile of Sulphur Creek, and covered with South TX brush and huge oaks, this ranch is full of turkey and deer. 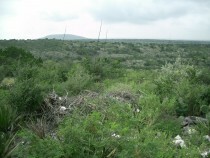 Located in the heart of South Texas, this high fenced ranch has over a mile of Guajillo Creek traversing through the property, offering big bull mesquites and hackberries, as well as excellent terrain for wildlife. 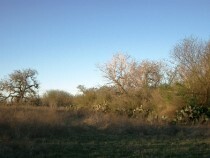 The ranch is covered in native South Texas brush, as well as one pasture planted in Leucaena, excellent browse for growing big deer.